Zynga is used to pulling off big stunts such as the time Snoop Dogg blew up the Mafia Wars truck. However, Zynga is now ready to pull the biggest stun of its life. 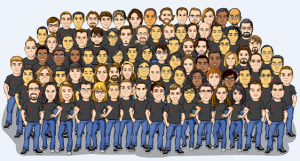 Back in 2010, Zynga suddenly halted all game development and focused in a single goal: developing a self-hosted online gaming site in case the negotiations between Zynga CEO Mark Pincus and Facebook CEO Mark Zuckerberg turned sour. Even though this hackathon resulted in a great site, the site never went live and instead both companies signed a 5-year deal. 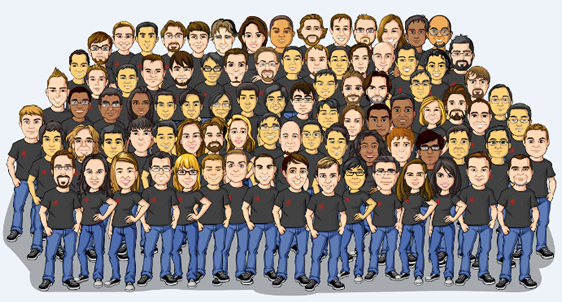 However in February 28th, 2012, Zynga.com ceased to be just a company blog and went on to become an online gaming portal that will feature not only Zynga’s games but also those from rival developers. Zynga.com aims to become the biggest online gamin PaaS. A Platform-as-a-Service (PaaS) is one of the categories of cloud computing services that provide both a computing platform and a solution stack as a service. Laying between the Software-as-a-Service (Saas) and Infrastructure-as-a-Service (IaaS), the PaaS facilitates the deployment of apps without the heavy upfront and maintenance costs of hardware, software and hosting. Zynga aims to provide game developers the complete life cycle of building and delivering web-based games and services entirely through Zynga.com. Zynga has spent several hundreds of millions to acquire its own server farms so that it can stop depending on those from Amazon.com. These new servers will empower Zynga to provide better dedicated service to gaming developers. Zynga will be able to provide access to top-notch computing power that is best suited to online gaming apps. Furthermore, Zynga provides the game developers the exposure to its community of over 240 million users, who play a game at least once a month. In the future, Zynga would like to also offer consulting services to online gaming startups. If Zynga’s business model sounds too good to be true, well it is because there is a small catch. Zynga’s revenue model cuts a lot into the developer’s revenue. According to Businessweek, Zynga will take a 30% slice of what is left after the 30% cut Facebook takes for using its payment system. This would leave the original developer about 49% from cash inflows. Check out Zynga’s new gaming portal at www.zynga.com. By Damian Davila, tech blogger living in Honolulu, Hawaii. Check out his list of the best iPhone game apps with Friends from Zynga at his blog idaconcpts.com. Read more of Damian’s articles at SexySocialMedia.com here. Follow him on Twitter at @idaconcpts.